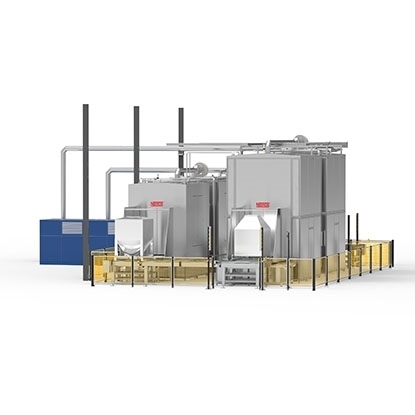 NIEROS® Blow-off Machine ABT B effectively complements any industrial washing process. The unit removes residual water from the items washed by means of a special airflow system. For optimal results, the items should be rinsed with hot water at approximately 85 °C beforehand. In case more than 90% of residual water is to be removed, a rinse-aid upgrade is necessary. The standard ABT B Blow-off Machine can accommodate up to 1500 Euro stacking containers and crates (of max. 600 x 400 x 300 mm in size) per hour or the number of Euro pallet boxes as per the CLT Washer capacity. 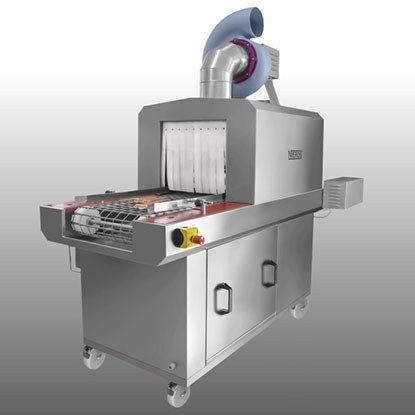 As a modular unit, Blow-off Machine ABT B can be integrated with any NIEROS® tunnel washing machine designed for the same items of wash to form a comprehensive washing system, or it can work independently as a self-standing unit.